Aquatec Auto Flush Flow Timers with Flow Restrictors | Applied Membranes Inc.
Aquatec’s AFR Series Automatic Membrane Flush Flow Restrictor Timers are engineered to maximize system efficiency and prolong membrane life. 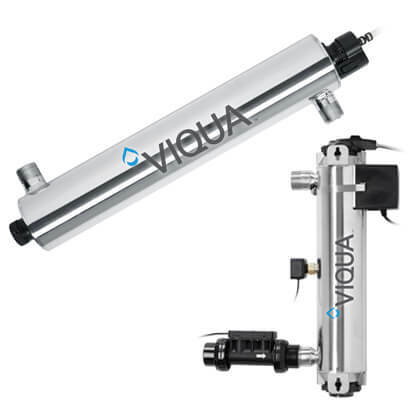 These components utilize a normally closed solenoid valve which automatically “power flushes” the membrane upon start-up and then subsequently for 15-20 seconds every hour. This turbulent water action removes organic and inorganic contaminants from the membrane surface. Any standing, idle water in the membrane module is automatically purged to the drain. Virtually all system manufacturers recommend that their membranes be flushed regularly to insure proper performance and extended membrane life. 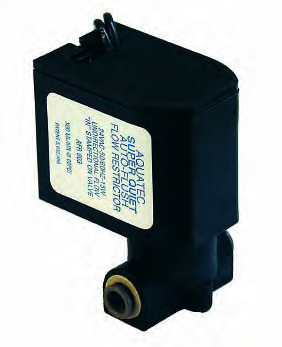 The AFR Series Auto Flush Flow Restrictors perform this process seamlessly and automatically. The AFR Series also include a modular connector for plug-and-play integration with Aquatec’s other system components.